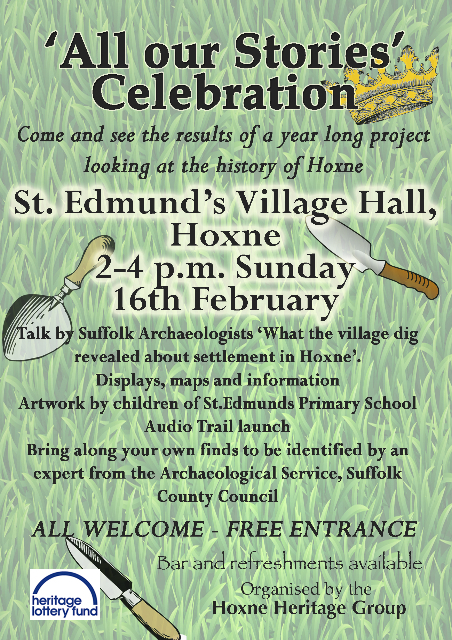 On Sunday, February 16th, nearly 70 Hoxne villagers celebrated the completion of the Heritage lottery-funded ‘Story of Hoxne’ project, led by the Hoxne Heritage Group and supported by Suffolk County Council Archaeology Services and the University of East Anglia Ideas Bank. 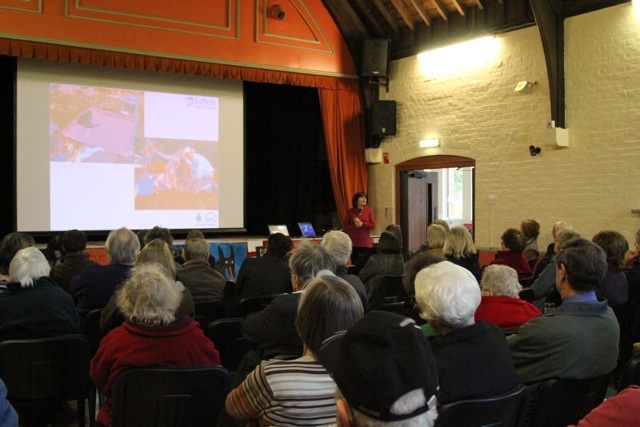 Jo Caruth, Senior Project Officer from SCCAS, gave an overview of the test-pitting event held in Hoxne in July, indicating how the analysis of the finds informed evidence of earlier medieval settlement in the village. She also indicated that the exercise revealed potential for further research especially to investigate if there was evidence of Anglo-Saxon settlement in the area. Richenda Goffin, SCCAS finds expert was also present to discuss and demonstrate how artefacts were identified and dated. 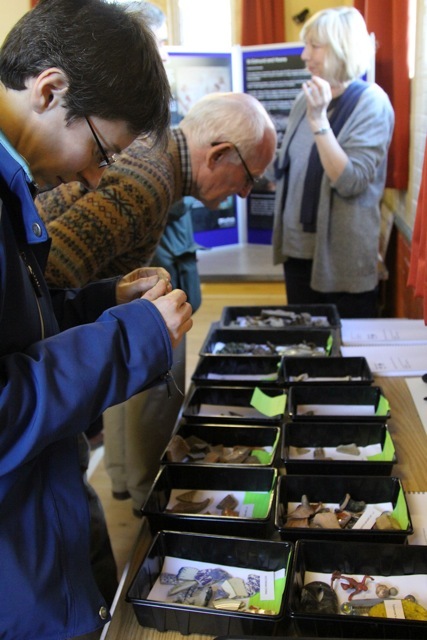 A large selection of analysed artefacts from the community dig was also exhibited . 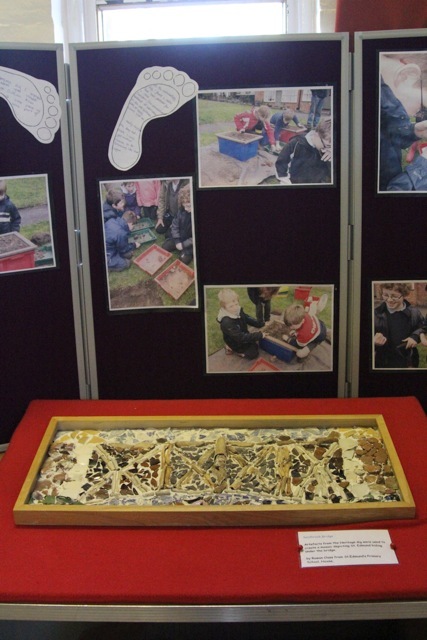 The schoolchildren who were involved in excavation of test pits on the village green last May had constructed a wonderful mosaic of King Edmund hiding under the Goldbrook Bridge, using post-medieval ceramics, bones and clay pipes that had been found. A delicious afternoon tea was enjoyed by all with a background of projected photographs taken throughout the project by Obelon Arts which brought back memories of the hottest weekend of 2013! A short, but impressive film of the community dig project, produced by Koan Arts, including interviews with participants was also shown and rekindled the enthusiasm to participate in future projects.